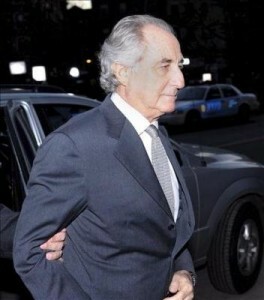 Bernie Madoff’s house of cards continues to crumble. Two computer programmers for Madoff’s investment firm– George Perez and Jerome O’Hara — were indicted Wednesday in New York on charges of conspiracy and falsifying records. Authorities charged that the men helped dupe the Securities and Exchange Commission and a European accounting firm by developing and maintaining “computer programs that generated numerous false and fraudulent records.” The European firm was reviewing Madoff’s records on behalf of a client. Each man faces up to 30 years in prison if convicted. Posted: 3/18/10 at 10:51 AM under News Story.